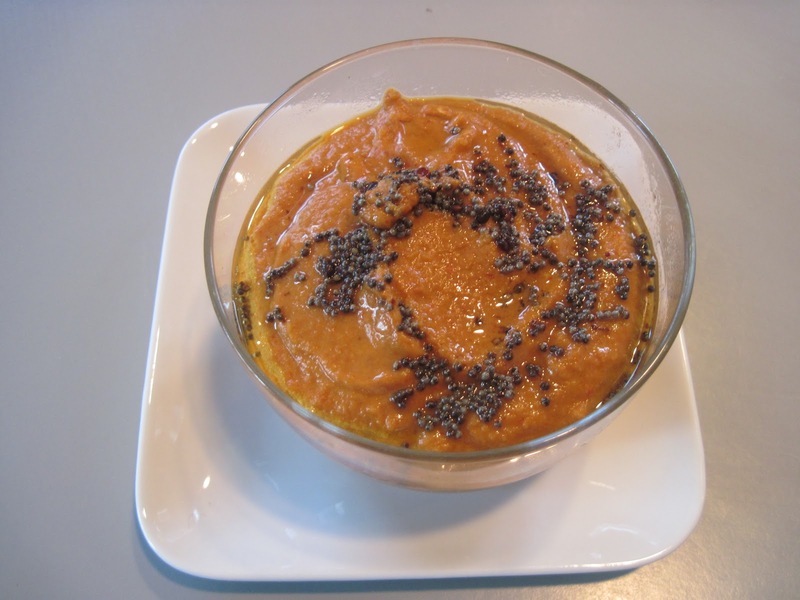 Fry the chili, dhania and methi seeds and grind with coconut and keep. Boil the vegetables with turmeric, asafoetida and salt. Heat pan with oil, add mustard seeds, one red chili and curry leaves and when it splutters add to the mixture. Roast the tur dhal chili and curry leaves without oil, till it becomes golden. Grind all ingredients together with salt into fine powder. This powder is served with rice with little ghee or oil. Blend all together into nice smooth paste. Drink this juice. It is good for health. Vengaya Sambar or baby Onion Sambar. This sambar is the king of gravies. 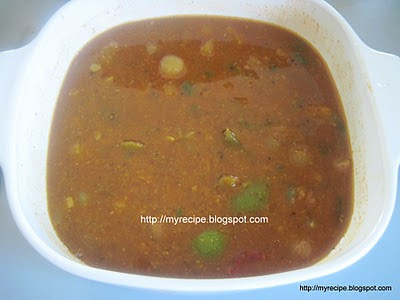 Every body like this sambar.It is served with rice, idli, dosa and chapathi. Cook the tur dhal in pressure cooker. Boil the vengayam with 1 cup of water and turmeric powder. the vengayam should cook well. Then add the tamarind paste. If you need add water. Fry the red chili, coriander seeds, chana dhal, methi seeds with little oil and grind with coconut coarsely. When the vengayam is cooked add the ground paste and the dhal and mix well. It is very tasty. We make potato podimas for this sambar. Heat a pan with oil add mustard seeds, chana dhal, urad dhal and fry. When the mustard splutters add curry leaves,onions, cashew nuts and fry till the cashews turn to golden. Add chopped tomatoes,turmeric, chili powder asafoetida,, green chili, salt,ginger and curry leaves. When the tomatoes are become tender add the rice. Use peanuts instead of cashew nuts and tomato puree for tomatoes.. This rice can be made from left over rice. It is very easy recipe too. It is very easy to prepare and goes with rice/idli. 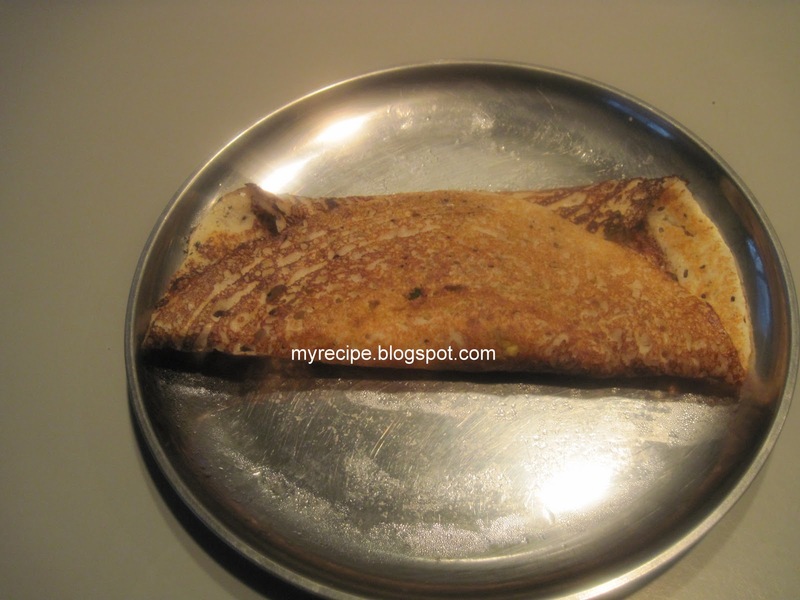 chapathi/dosa. 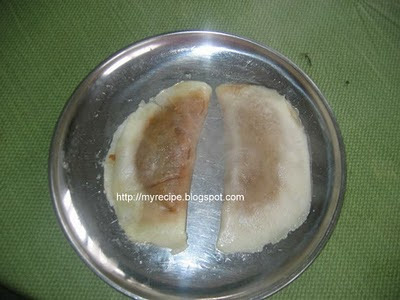 Remove the skin of the dhudhi and cut into pieces. Heat a pan with oil add urad dhal chana dhal chili and fry little and add the dhudhi pieces,. Fry till the dhudhi becomes soft. Add tamarind coriander leaves salt and asafoetida and grind into paste. When it splutters add to the chutney..
Keep the brinjal on the gas stove and burn it. . Turn the sides and make it burn. Cool it and peel the skin. 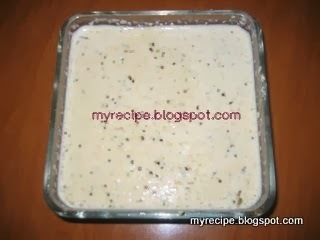 Eggplant/brinjal and bake them in the oven at 250 degrees for 30 minutes..
Mash the eggplant into pieces. Heat a pan with oil add mustard seeds chillies, urad dhal and chana dhal. When the mustard seeds crackle add onions and fry. Eat this gotsu with ven pongal. Heat a pan with oil add mustard seeds, urad dhal, chana dhal, chillies and hing. Add the onion and fry well. Pour the tamarind extract, turmeric powder, sambar powder, curry leaves ,salt, the mashed eggplant, jaggery mix well, and boil for 5 more minutes. Tomatoes(more) can be substituted instead of the eggplant for a tomato- onion gotsu. Add more chillies.This gotsu can be eaten with rice and pappad. 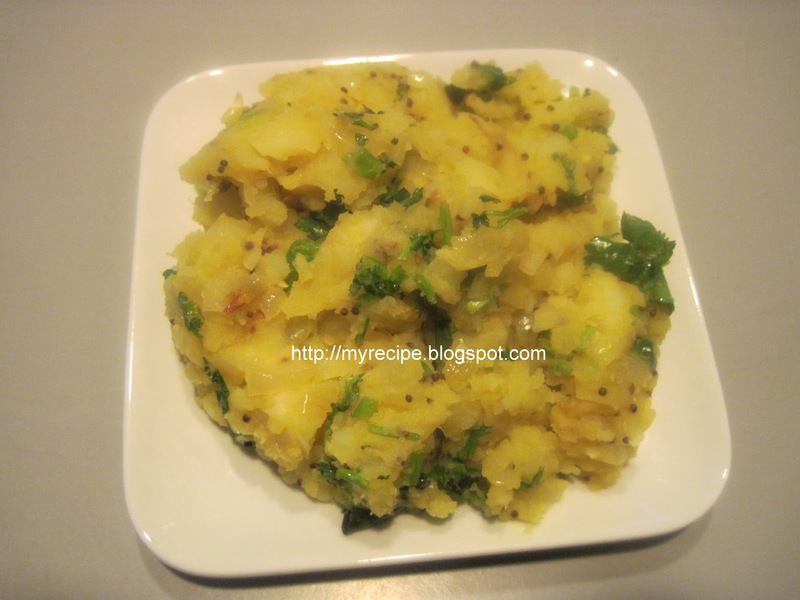 It can be the side dish for Pongal and idli. Grind the coconut, chillies, cumin seeds into smooth paste. Add this paste to the butter milk. Heat a pan with oil. Add mustard seeds , methi seeds and 1 red chili . 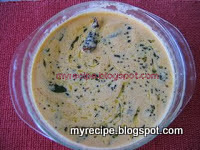 When the mustard seeds crackle, add curry leaves, butter milk and salt. Only heat the kozhambu – do not boil. 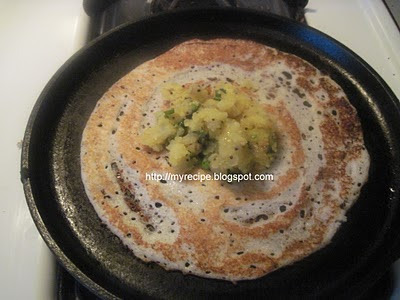 Serve with coconut sevai/lemon sevai/ rice.